Histories and Theories of Reading are a series of seminars that have been organised each academic year since 2013 as a specialist course at Ghent University. Each seminar focuses on the work of one of six eminent international literary scholars who play a leading role in the disciplines of literary theory and literary history, and who have made important theoretical and conceptual contributions to their respective disciplines and to the historiography of both the central object of study (literary writing) and the disciplinary attempts at writing its history. The aim of the seminar is to provide both an in-depth discussion of the past research and work in progress of the particular scholar as well as a reflection on emerging concepts, theories and approaches in the disciplines of literary theory and literary history. In addition to the thematic interests of the invited scholars, we will also draw on the conceptual approach of each individual scholar. Announcement: GEMS Seminar: Histories and Theories of Reading. Fourth Series. In the course of 2018, GEMS will host a number of international scholars whose work is relevant for the study of literary and other cultural artefacts and practices of the early modern period. Neema Parvini, David Marno, Zachary Schiffman, Marisa Galvez, Frans-Willem Korsten and Catherine Belsey have all accepted our invitation to participate in a series of discussions with PhD-students. 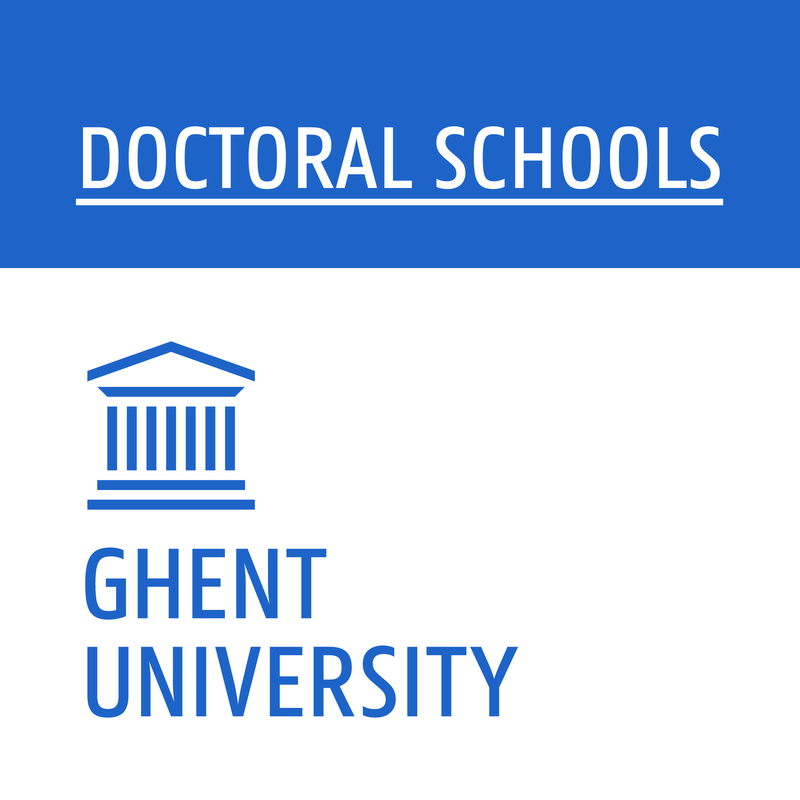 The Seminar is co-funded by Ghent University’s Doctoral School of Arts, Humanities and Law. In the course of the past years, the program of the Histories and Theories of Reading Seminar has featured, among others, Kathy Eden, Albert Ascoli, Roland Greene, Jonathan Culler, William Marx, Leah Price, Julian Wolfreys and Rodolphe Gasché. More details about this year’s programme will be announced in the course of January 2018. The first three sessions will take place between March and June, the other three between October and December. PhD-students who want to participate in the Seminar and obtain credits for the DS-programme are required to inscribe for three out of six sessions. Expressions of interest and further inquiries can be sent to jurgen.pieters@ugent.be. 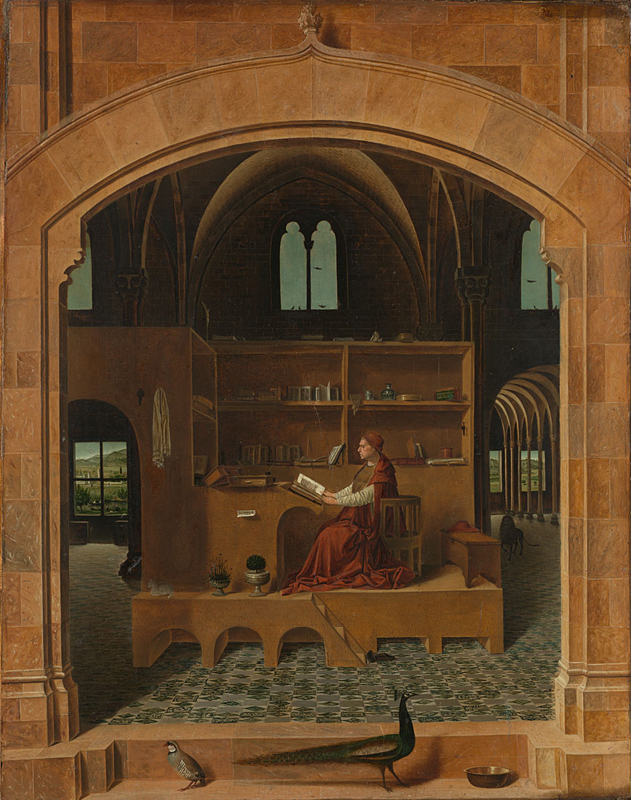 The picture is Antonello da Messina’s Saint Jerome in His Library (ca. 1475). On the occasion of this year’s Histories and Theories of Reading, GEMS welcomes six interesting and inspiring academics: we’ll offer them a coffee, have a chat, and ask the same six questions to each of them. Our sixth guest of the Doctoral Course Histories and Theories of Reading is Rodolphe Gasché (State University of New York at Buffalo). 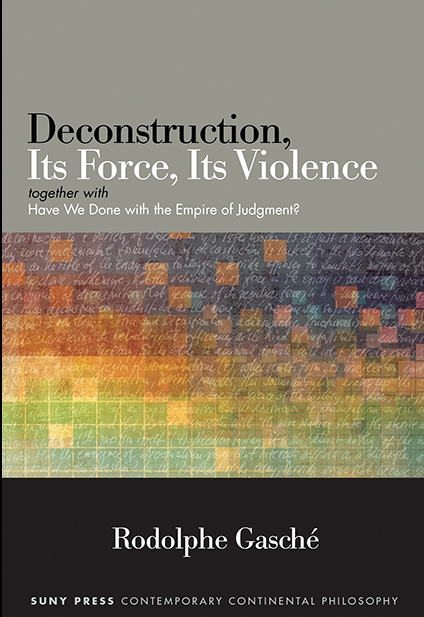 Central to the seminar will be Gasché’s most recent book: Deconstruction, Its Force, Its Violence (2016). Monday 2 May – 9:30 – 12:00. Tuesday 10 May – 14:30 – 17:30. Registration for the specialist course is required. See here or here for more information on registration and on the entire course. Our fifth guest of the Doctoral Course Histories and Theories of Reading is William Marx (Université de Paris Ouest Nanterre La Défense). 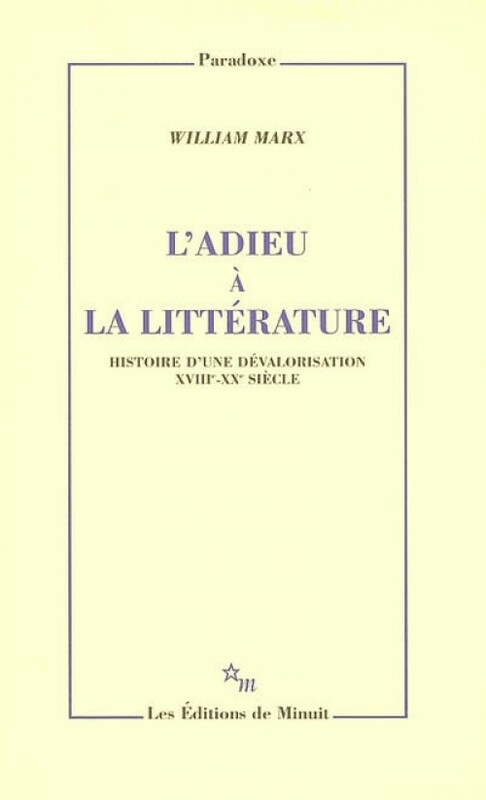 We will read ‘Du tremblement de terre de Lisbonne à Auschwitz et Adorno: la crise de la poésie’ (2005), ‘Penser les arrière-gardes’ (2004/2008), ‘La véritable catharsis aristotélicienne : pour une lecture philologique et physiologique de la Poétique’ (2011), ‘Est-il possible de parler de la fin de la littérature?’ (2012), and ‘Brève histoire de la forme en littérature’ (2013). Tuesday, 26 April, 2016, 9:30 am – Faculty of Arts & Philosophy Library ‘Room Mortier’: preparatory session. Tuesday, 3 May, 2016, 9:30 am – Large Meeting Room (Blandijn, third floor): session with William Marx. 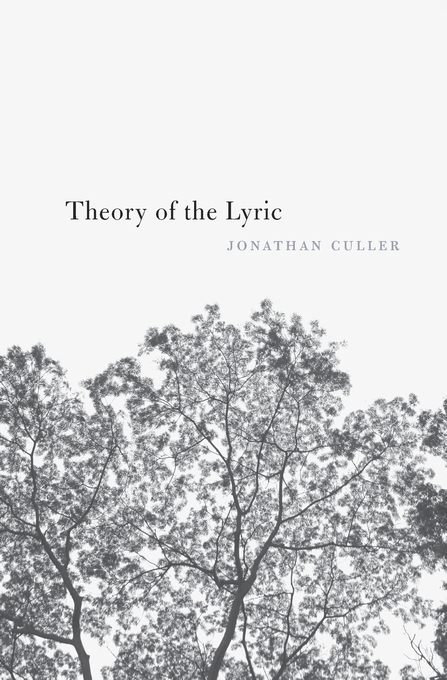 Our fourth guest of the Doctoral Course Histories and Theories of Reading is Jonathan Culler (Cornell University). Monday, 14 March 2016, 9:30 AM: preparatory session. Our third guest of the Doctoral Course Histories and Theories of Reading is Neil Badmington (University of Cardiff). Monday, 14 December 2015, 10 AM: preparatory session.